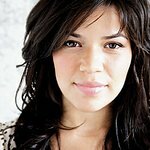 America Ferrera has taken a stand on International Women’s Day. “Today, on International Women’s Day, there’s a lot we can be proud of when it comes to advancing rights and opportunities for women and girls everywhere,” wrote Ferrera in an email to supporters of the Clinton Foundation. "But the truth is, we still have so much more to do. Take the fact that women around the world still don’t have equal pay, or that nine countries around the world don’t provide for paid maternity leave. “When you look at the facts, you have to ask yourself: Where do we really stand when it comes to gender equality? The answer is: We’re just not there yet. Yesterday, March 8, was International Women’s Day, and the Clinton Foundation’s No Ceilings: The Full Participation Project engaged in a collaborative effort to raise awareness that women are “not there” yet on issues of gender equality. For the entire day, the media landscape was eerily devoid of women, and the public was directed to NOT-THERE.org to learn why. NOT THERE, which was created in collaboration with award-winning agency Droga5, coincides with the release of the No Ceilings Full Participation Report, a 20-year data driven review on the status of women and girls since 1995, when Secretary Clinton called on the international community to ensure that “women’s rights are human rights.” At NOT-THERE.org viewers are able to see the facts on gender equality in full focus and are encouraged to learn more and explore the interactive series of data visualizations created by No Ceilings. Condé Nast, for the first time in history, removed the cover images on Vogue, Glamour, SELF, Allure, Teen Vogue, W, and Brides and directed readers to NOT-THERE.org to learn about gender equality. On Clear Channel Outdoor’s Times Square billboard, the largest digital ad display in North America, Beats by Dre removed images of women and directed tourists from around the world to visit NOT-THERE.org. Invaluable advertisements from Unilever brands Dove and TRESemmé, Under Armour, kate spade new york, the New York City Ballet, and many more removed women and directed audiences to NOT-THERE.org. Additionally, the NOT THERE campaign and No Ceilings data was featured in Snapchat’s newly launched “Discover” platform as a day-long takeover of Snapchat’s “Snap Channel.” And, iHeartMedia radio stations across the country launched an on-air NOT THERE campaign that played clips by iconic female artists – sans the female vocal track. “I think sometimes the media gives the false impression, through its visual imagery, that women are treated equally in the global conversation. It is important for us to correct that impression, even symbolically on March 8, to move the conversation forward and create real change,” said Anna Wintour, Artistic Director of Condé Nast and Editor-in-Chief of Vogue. Once on NOT-THERE.org, visitors are greeted by the voices of Amy Poehler, Cameron Diaz, Jenny Slate, Padma Lakshmi, and Sienna Miller, who came together in a sharable video to inspire Americans to learn the facts on gender equality and inspire action on a global scale.